I have tried a few primers and have not found one that I actually like and need it to be part of my makeup routine. 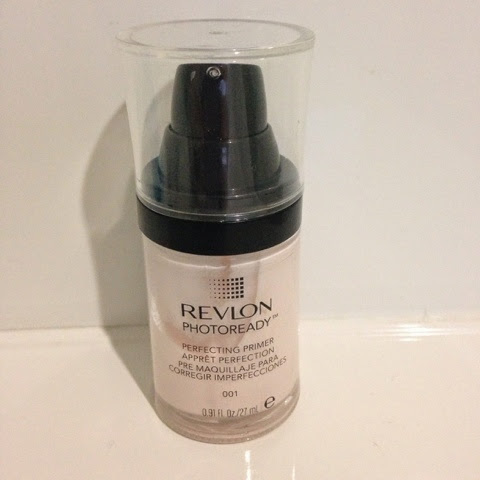 A friend of mine suggested to try the Revlon Photoready primer as she had loved it. As mentioned before I have oily combination skin so I do get a fair bit of oil during the day specially on my nose. I started using this primer about two weeks ago and have not looked back! I really have been enjoying the way it makes my makeup look, last and feel. It is easy to apply and just melts into my skin, I found it made my pores look smaller and gave me a matte finish to my skin. I still get oily throughout the day but just not as fast with this primer on. My makeup lasts longer and does not disappear. The price is not very nice at $29.95 but it does last a long time and you only need a little bit you can get it from Priceline. I usually use about a 5 cent piece size amount all over my face and let it settle on my face before applying either my bb cream or foundation. Do you have a favourite primer for oily/combo skin?